It can be difficult to keep up with the latest changes in decorating styles at home, but an increasingly popular design trend may ease the burden, especially if you've kept some family treasures around. Designers are now focused on keeping those traditional accents, furniture pieces or wallpaper and blending them with clean, bright, contemporary elements. A great way to give an outdated room a contemporary balance is to accent with white on trim, molding, doors or decorative linens. Blending the soft wood tones of older furniture or dark wood floors with fresh white accents will make the room pop, breathing new life into a treasured heirloom piece you’ve had in your family for years. You can achieve a similar effect in your kitchen with stainless steel finishes. 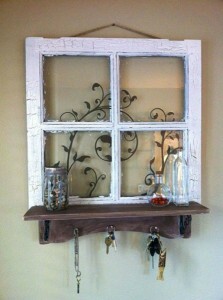 Think of ways to repurpose older items. An old six-paned window with cracked and worn wood can become a frame for family photos. 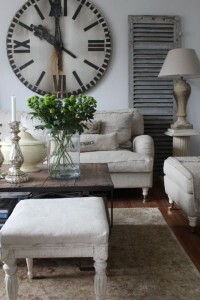 Wood from an old barn can be used for a coffee table or fireplace mantel. Mix up the chairs around your dining room table by blending both modern and contemporary styles. These small changes showcase two distinctive styles that work seamlessly together. If the shell of your room has a contemporary look, add a few traditional elements as conversation pieces. An antique lamp, an old trunk that becomes a side table or a church pew in an entryway can all be attention-getting additions. On the flipside, if your home features traditional wooden floors that have aged beautifully, let the floor take center stage with simple, modern decorations.